Whenever spring comes into mind, nature becomes a huge inspiration for designers everywhere. I personally think of flowers blooming but also cool breezes - perfect combination, really. You get the best things about summer and winter without soaking in sweat or shivering from the cold. If you can't tell, spring is my favourite season. 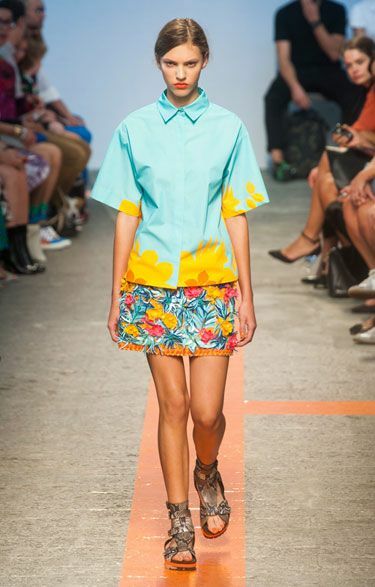 Spring 2014 collections had a lot of floral patterns, both in vibrant and muted tones. Mary Katrantzou's Spring 2014 ready-to-wear collection is quite heavy on loud floral patterns as seen above but the dresses look perfect for a garden party or brunch with your girls. Check out the collection here. Pieces that won't break your bank. 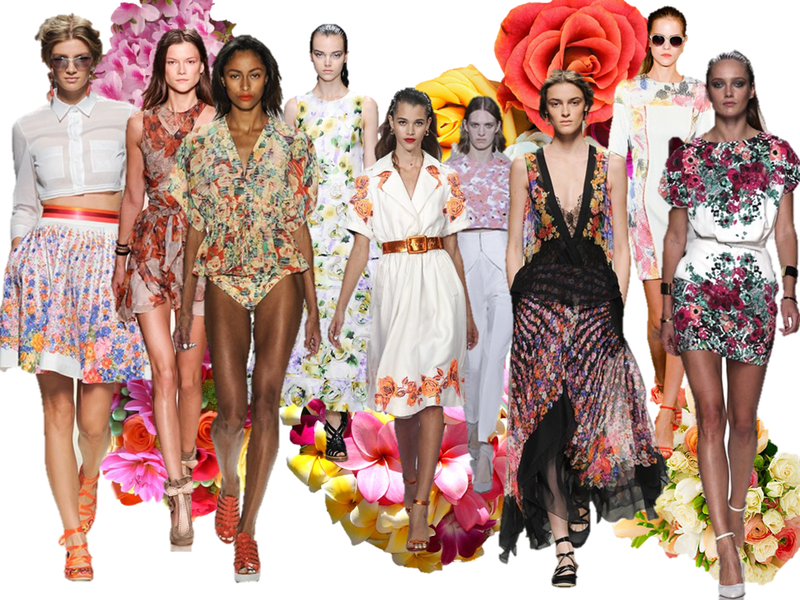 We've found some items from Topshop, Bershka and Forever 21 that have floral patterns or are simply inspired by nature. The links to the clothes are in the captions for those of you who want to check them out. The prices are in different currencies but let us know what one you'd rather us use from now on so there's uniformity. Also, what are your favourite more affordable brands that you want us to showcase next time?